Few have the gift to see into other dimensions. Fewer still are able to bring back the wisdom they find there. Even more rare are those like Ariyana — special enough to travel to other realities, bring back knowledge, and then lead others on journeys of their own. Ariyana is the author of LIGHT ATONEMENT. It is the memoir of a woman with an amazing gift who finds that her purpose in life is to share it with others. Written so beautifully, it is impossible to read and not be uplifted. The author, now known as Ariyana, a star child, was born in Japan in 1971 and grew up in a close, upper-middle class family. She valued her country’s traditions of resiliency, respect for elders and inner spirituality, but her goal of becoming a successful businesswoman did not fit into Japan’s male-oriented society that placed more value on the cooperative whole than on the individual. It was no surprise to her family when she chose to attend college in California. Within months, she fell in love with a fellow student majoring in business and they married before she graduated. Investing the $50,000 her parents had put aside for her wedding, the couple began importing furniture from Asia. In just a few years, they were millionaires. Before she turned 30, Ariyana could look back on her many substantial accomplishments, including the birth of a son and a daughter. But, like so many others who feel a lack of meaning and purpose in an outwardly successful life, she was miserable. She began the inward journey of self-discovery. She found a therapist, went into an intensive therapy program, amped up her yoga practice, and devoured books on spirituality, astrology and numerology. She met psychics and healers. In deep meditation, she met angels and other spiritual beings. Her experiences led her to an epiphany, the realization that she had been chosen to communicate great truths to lead humanity and the Earth itself into a brighter future. “My heritage and essential nature helped me accept this and other ideas that might have raised skepticism in others. Japanese people possess an inherent open-mindedness and truly believe that certain people are in our lives for good reasons and that we are connected beyond this lifetime,” Ariyana writes. Today, Ariyana channels messages from three multi-dimensional beings she calls her Star Family. Their messages remind people to live in harmony, strive for love and peace, and work to end wars, violence and poverty. Moved by the uncertainty of the future of the planet, they also urge people to take care of the living being that is the Earth. LIGHT ATONEMENT also serves as a workbook. At the end of every chapter, Ariyana offers thought-provoking questions to guide and inspire readers on their own spiritual journeys toward discovery. Ariyana was born and raised in Tokyo, Japan. She moved to the United States at the age of 18 to attend the University of Southern California. It was there that she met her ex-husband, with whom she built a multimillion-dollar furniture business from scratch. After a series of revelations through meditation and with the help of psychics and healers, Ariyana connected with her life’s purpose. She quit her position as the president of the furniture company and with the help of her cosmic family, has become a healer and consultant. She lives in Los Angeles with her two children. 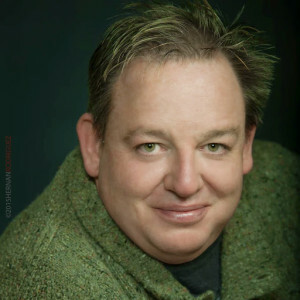 Kyle Matthews has been a working psychic for more than 25 years and has built his own clientele from thousands of satisfied clients. He has the ability to see and read other people’s auras. Contact with his guardian angels, coupled with his extraordinary abilities enables Matthews to translate messages from others who reside in dimensions beyond this one. A psychic reading with Matthews is very much like meeting an old friend whom you grew up with, making your soul glad to reconnect again. This friend seems to know everything about you, accepts you for yourself, and knows what to do about anything that worries you. Matthews is a Spiritual, soul-felt healer who partnered with his angel at age 14. He has the ability to reach into a person’s soul and out to their guides and angels. This brings truth and clarity about their path so they may continue their journey through life with a new awareness and certainty. Everything Matthews does is by the grace of God, and with the help of the angels.